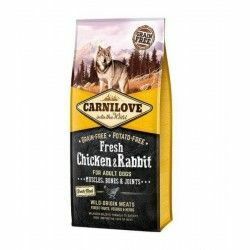 Food for adult dogs of all breeds. 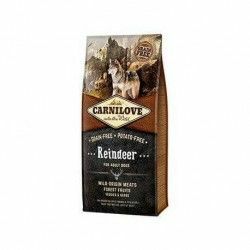 Formulated with ingredients found in nature, contains reindeer meat wild, rich in proteins and antioxidants. 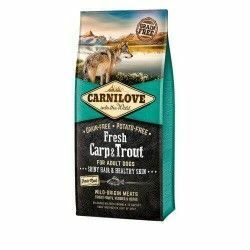 Carnilove Included Adult is a complete food and balanced for adult dogs of all breeds and ages. Without cereal grains and contains no potatoes. It is rich in fruits and vegetables. 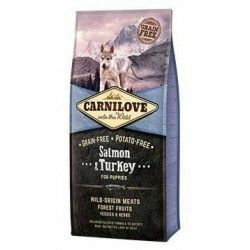 I think Carnilove is of great quality, as close as possible to the natural diet of your dog, are made up of meat, carefully selected, and only contains ingredients of the highest quality. This recipe prepared on the basis of reindeer and wild boar is suitable for dogs with intolerances to certain meats. 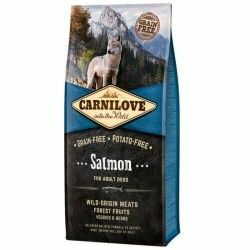 Features:complete food for adult dogs of all breeds and ages, made of reindeer and wild boar, it is ideal for dogs with food allergies.